You'll explore and learn at Musée d'Orsay and Louvre Museum. 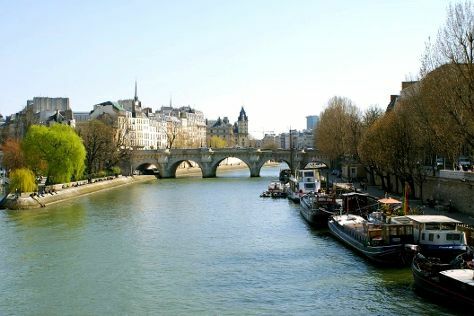 Get a sense of the local culture at River Seine and Île de la Cité. Step out of Paris to go to Versailles and see Palace of Versailles, which is approximately 44 minutes away. It doesn't end there: contemplate in the serene atmosphere at Cathédrale Notre-Dame de Paris and steep yourself in history at Arc de Triomphe. For where to stay and other tourist information, you can read our Paris trip itinerary builder. If you are flying in from United Kingdom, the closest major airports are Paris-Orly Airport, Charles de Gaulle International Airport and Paris Beauvais Tillé Airport. In April, daytime highs in Paris are 19°C, while nighttime lows are 7°C. Finish your sightseeing early on the 30th (Sun) so you can travel back home.